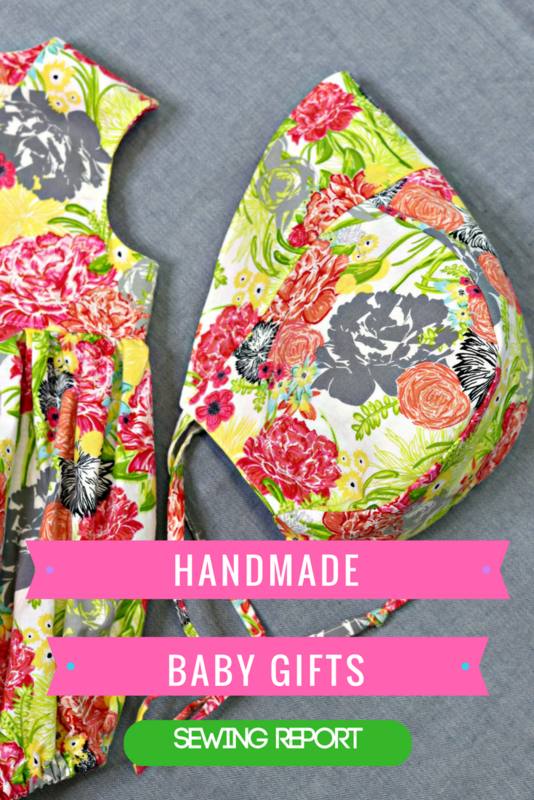 It’s no secret I love sewing gifts for babies and kids. So many amazing patterns, adorable fabrics, and room for creative touches like lace trim or incorporating a fluffy tulle skirt. 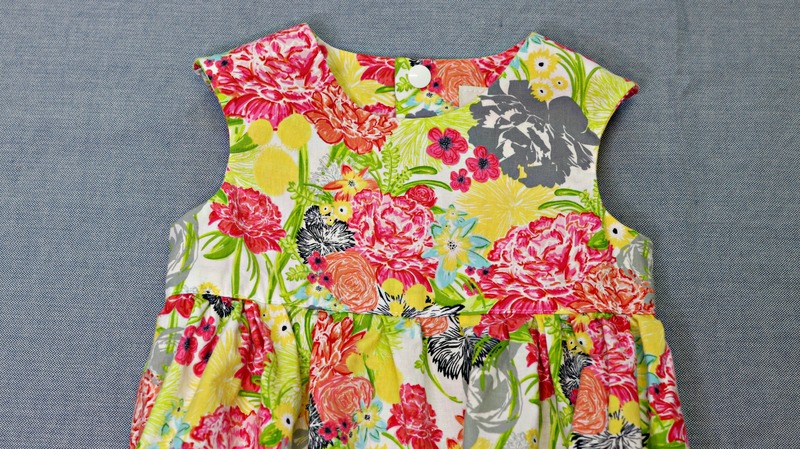 Recently, I sewed Fresh Stitch Patterns Playgroup Dress. 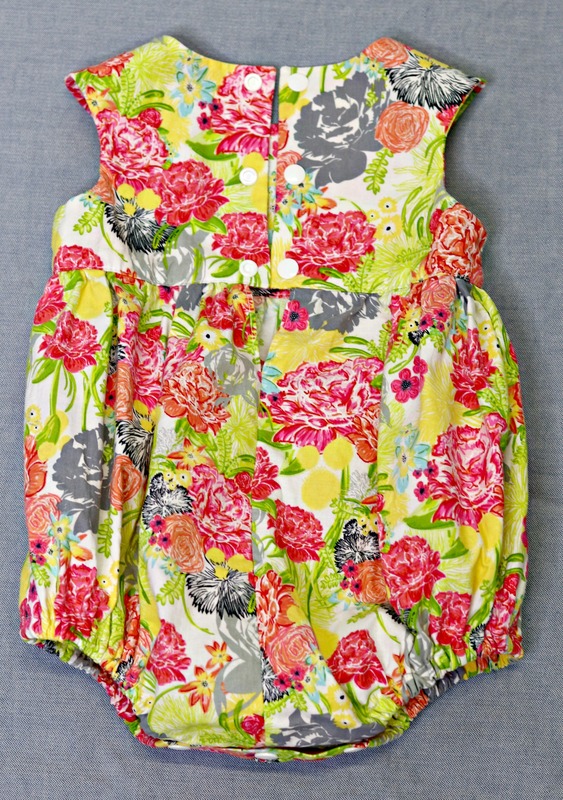 I liked it so much, I made a Playgroup Romper in the same fabric for another gift. The pattern is very similar in construction, except it features a gathered “bubble” or narrow bloomer – whichever you prefer. Total sewing time for me was approximately 6 hours total. 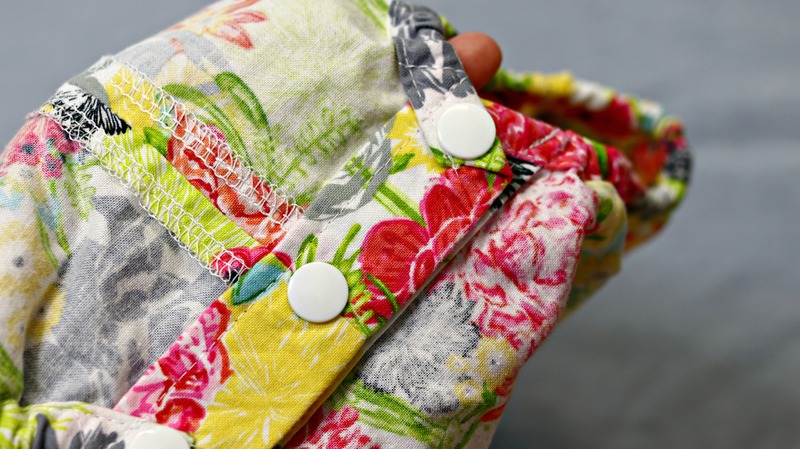 That does include the time I spent installing the KAM Snaps – one of my favorite sewing notions EVER. Have I mentioned I’m a very sloooooooowwwwww sewist? It takes me forever to make a pattern up for the first time. Multiple attempts at making the same thing tend to get easier. I’ll admit, it was nerve wracking doing my first snap crotch section, but it was a lot less stressful than I expected. This one is the 9-12 month size, as it was gifted to my neighbor. 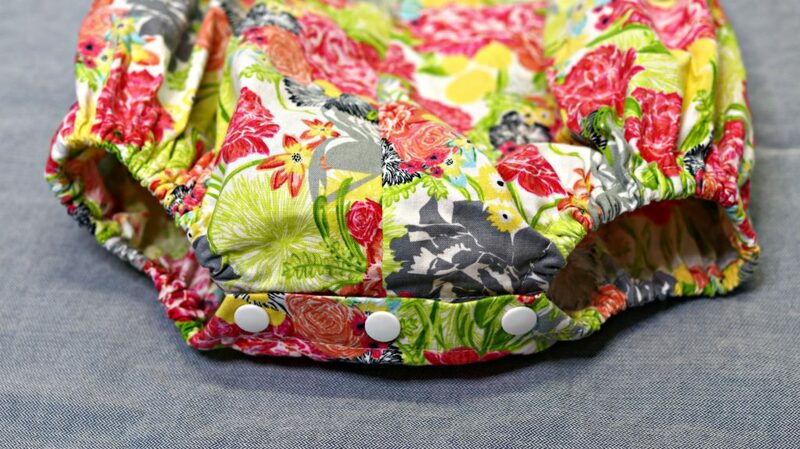 The back and side seams of the bubble bloomer are finished with a serger, but the lined bodice is entirely enclosed. To go with the Playgroup Romper, I made Purl Soho’s free Baby Sunbonnet pattern. 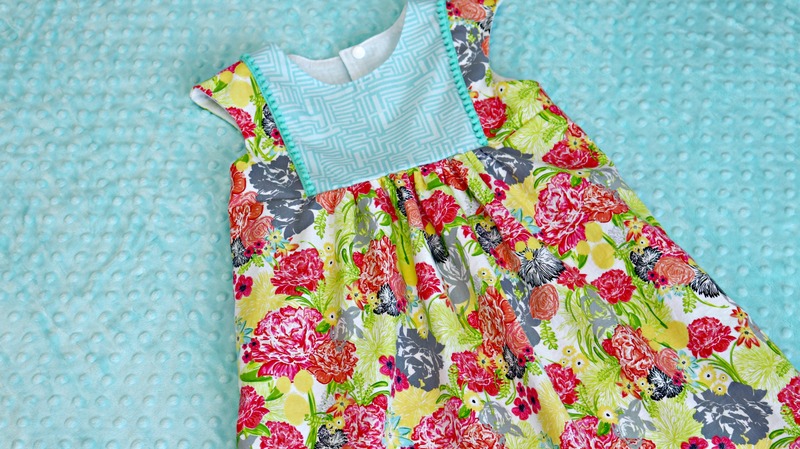 What a great sewing project! This one only took about 2 hours from cutting to finish. Construction is simple, and I enjoyed making the little straps. 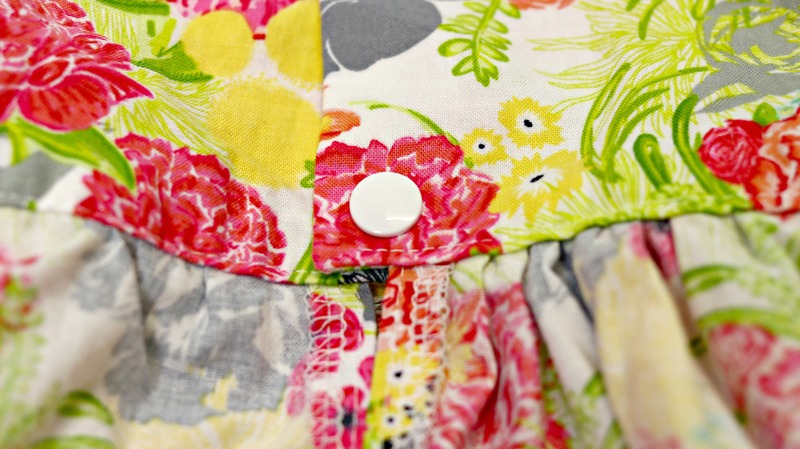 You only need 1/4 yard of each fabric (main and lining), plus a tiny bit of interfacing. The bright floral and geometric fabric is a print from my stash I bought AGES ago – Modern Eclectic designed by Khristian Howell for Blend Fabrics. It is now out of print, but a few are still available on Etsy. This set turned out fantastic, if I don’t say so myself! Absolutely gorgeous baby gifts! And I’m slow too. I take forever to make things usually, unless it’s super simple. Thanks for sharing these! Really appreciate the compliment! Glad I’m not the only slow seamstress out there! 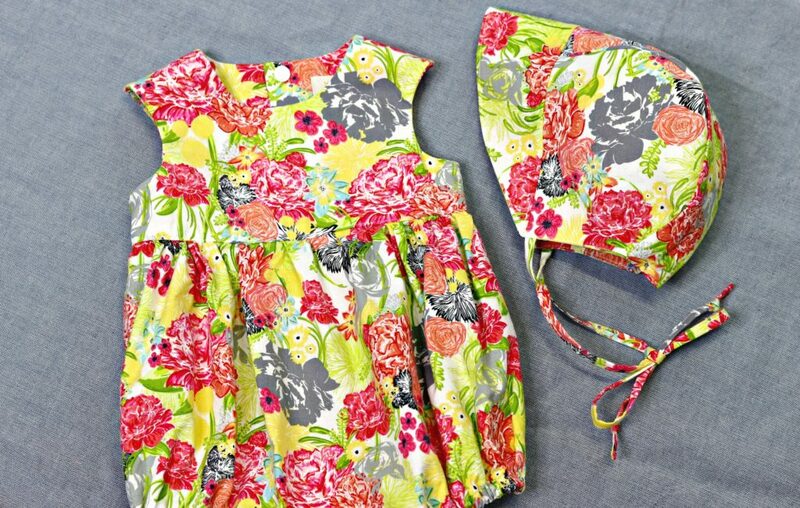 Hi Love how it turned out especially withe the matching bonnet, Your sewing is amazing! Thank you so much! You have great and easy to follow patterns!